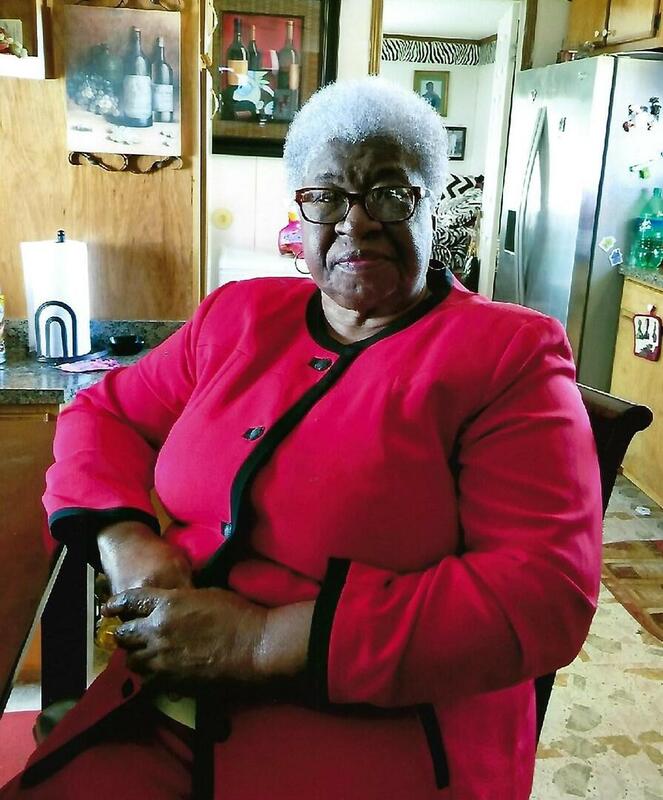 Provide comfort for the family of Gerty Eirby with a meaningful gesture of sympathy. Gerty Mae Eirby was born on November 20, 1945, in Sweetwater, AL to Jenibe King and Lee Henry Eirby. She was a long time member of Midway Missionary Baptist Church, where she served as an usher as well as an eastern star. She departed this life on Thursday, February 28, 2019. She is preceded in death by her parents Jenibe King and Lee Henry Eirby. Two sisters Jannie Wright and Jettie Johnson. She was well loved and leaves behind to cherish her memories a loving and devoted son and daughter-in-law: Fredrick and Cathy Eirby of Theodore,AL; one uncle: Roy Lee King Sr. of Lewiston, ME; one aunt: Judy Pearl Dixon of Sweetwater, AL; two sisters: Mamie Jimerson of Lewiston, ME and Evelyn Prince of Theodore, AL; two special friends: Dorothy Owens of Theodore, AL and James Parker of Mobile,AL; four loving grandsons: Taurus(Crystal) Stanton of Theodore,AL, Laterrance Franklin of Lewiston, ME, Michael Williams of Washington, DC and Latarian Frison of Theodore, AL; one loving granddaughter: Keondra(Travis)Tucker of Theodore, AL; eleven great grandchildren; and a host of other family members who looked at her as a mother. A visitation will be held on Saturday, March 9, 2019 from 9am until the 11am funeral hour at Midway Missionary Baptist Church located at 2550 Three Notch Road, Theodore, Alabama. The Interment will follow in Lawn Haven Cemetery, Theodore, Alabama. 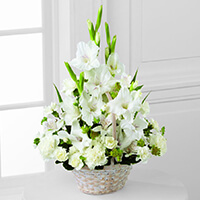 To send flowers to the family of Gerty Mae Eirby, please visit our Heartfelt Sympathies Store. We encourage you to share any memorable photos or stories about Gerty. All tributes placed on and purchased through this memorial website will remain on in perpetuity for generations. Shakila and Your nephew Hole and Jessica and BOYS have sent flowers to the family of Gerty Mae Eirby. May the family of Gerty Eirby please accept my sincere condolences hoping you find comfort in Gods words at Acts 24:15 and Psalm 37:29. Rest easy Aunt Gerty Mae. You will truly be missed. Praying for peace and comfort for the family today. 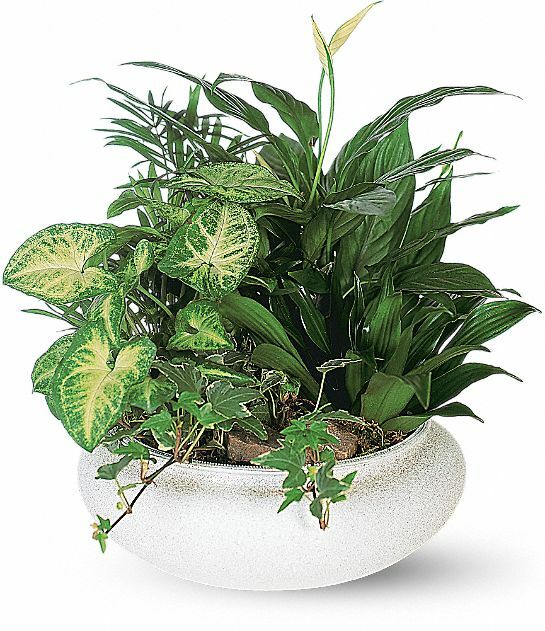 Shakila purchased the Medium Dish Garden for the family of Gerty Eirby. Gerry was such a sweet lady. I loved having conversations with her. She was always straight forward but funny at the same time. Rest In Peace my friend. Tyrone and the whole family you are in my prayers. I express my heartfelt sympathy for the loss of your loved one Gerty I'm sure that she will be dearly missed by the many who loved her. Soon no one will suffer the loss of their loved ones anymore. Almighty God promises at Isaiah 25:8: "He will swallow up death forever." Also John 5:25 says: "Most truly I say to you, the hour is coming, and it is now, when the dead will hear the voice of the Son of God, and those who have paid attention will live." Soon we will be reunited with our loved ones that have died, and live together forever in a peaceful new world without suffering, sickness, and death. May God's promises bring you comfort during your time of grief. Your nephew Hole and Jessica and BOYS purchased the The FTD Eternal Affection Arrangement for the family of Gerty Eirby.